Morad is a story of an immigrant coming to this country from his home of Morocco and becoming a success through hard work and determination. In Morocco, Morad and his brother owned and operated a wholesale grocery store and traded spices and apparel between China, South America and Morocco. He came to this country in 2006 to do graduate work in criminal justice, however, he got side tracked working at Star’s Restaurant in Novato as a dishwasher and worked his way up to busboy, cook and manager (an establishment which Restaurant Realty sold many years ago). In 2014, he purchased the Lumberjack’s restaurant in Petaluma. In addition to his restaurant activity, Morad is active in real estate and owns single family homes and multi-unit properties as he enjoys fixing up properties and providing housing for people. 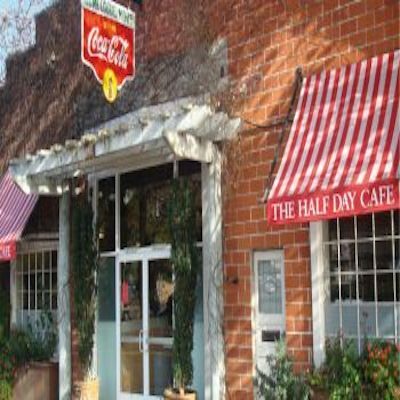 Morad recently purchased Half Day Café, a landmark breakfast, lunch and brunch restaurant in Marin County. The building housing Half Day was built in the 1930s to house the Kentfield garage, which later become an antique store and real estate office, prior to be converted to Half Day Cafe by Dan Ohlson in 1986. For the past 19 years the café has been owned and operated by Tory Monahan, Dan’s daughter, and although the business was very successful Tory decided to sell it to be able to spend more time with her children before they go off to college. Morad, who loves working with people and making customers happy, will continue to operate Half Day Café with the same love, affection and care to details as its prior owners did. We wish Morad continued success at Half Day Café and in all his other projects.